Designed in LA and handmade in Italy, these frames are at the leading edge of fashion for the face. 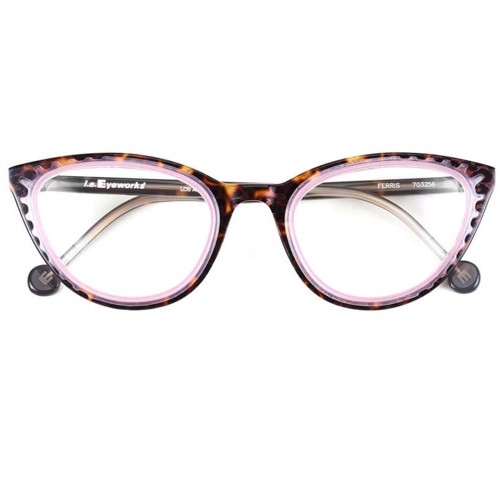 From quirky cat’s eyes to chic geek retro styles, LA Eyeworks combines bright colours with neutral tones to create easy-to-wear designs for every occasion. From soft and feminine to eye-catching, statement pieces, LA Eyeworks has a style to suit all face shapes. LA Eyeworks combines the highest quality materials, craftsmanship and unique custom designs. resulting in beautifully made retro-styles with a modern twist in both colour and structure.